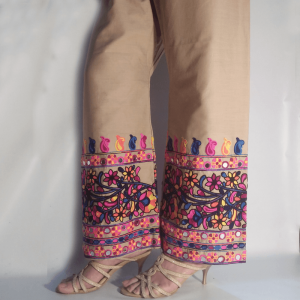 The global fashion trends indicate that the days of wearing shalwar, tights and straight pants are over now and it’s time to embrace yourself with the latest fashion wear, “buy trousers online pakistan”. 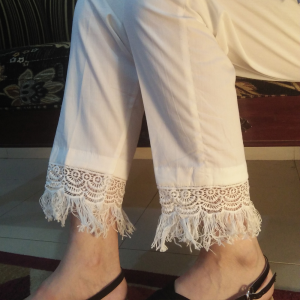 It is basically a western fashion; American and British ladies usually wear trousers with a short skirt or jeans fabric. 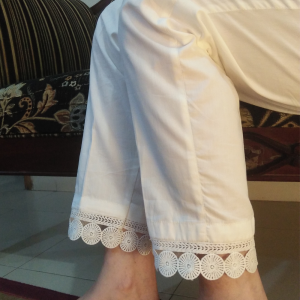 This piece of clothing is suitable for Pakistani women as well because the majority of them are fond of wearing heavily embroidered party or wedding dresses. 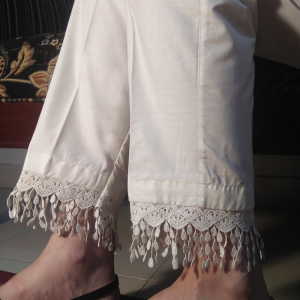 Besides special occasions, it can also be used as a regular day wear due to its flexibility and comfort. 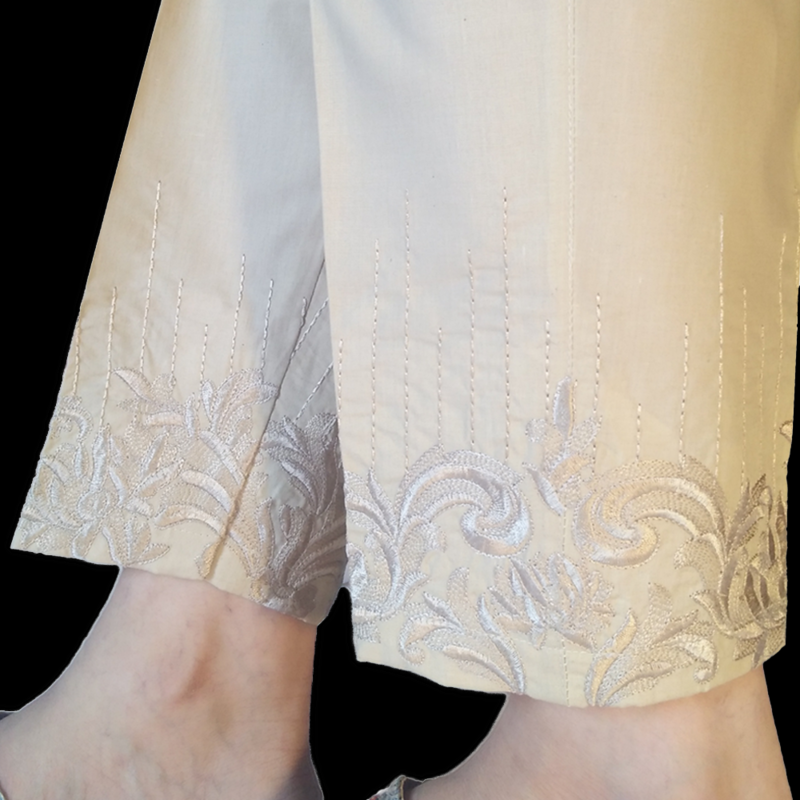 Whether you are fat or have a slim body shape, now its time when you like to make stunning fashion statements. 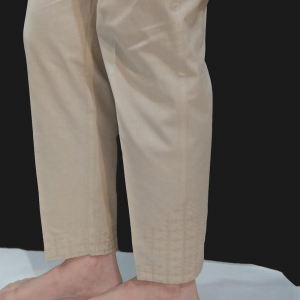 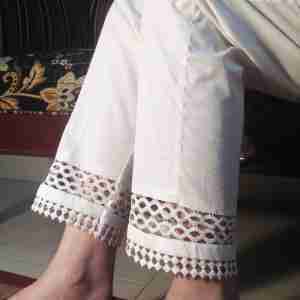 Most women are seen wearing these wide trousers with different formal and casual wears. 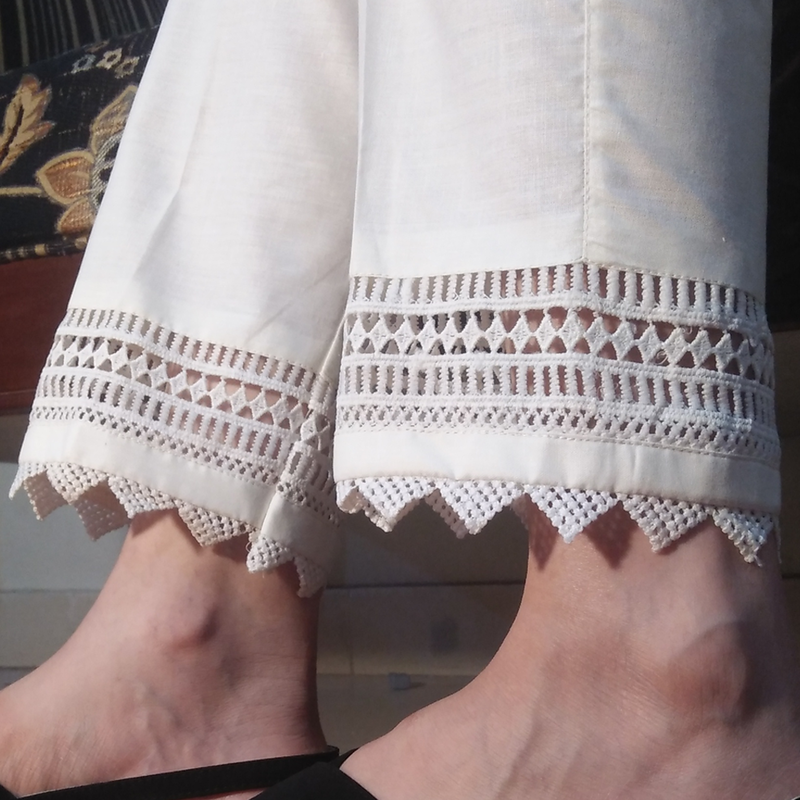 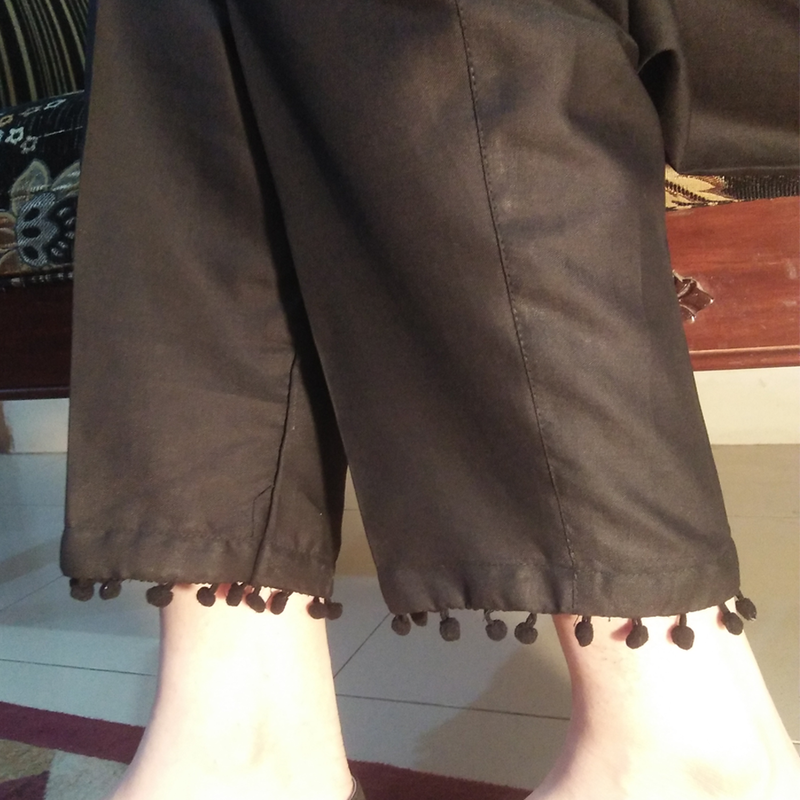 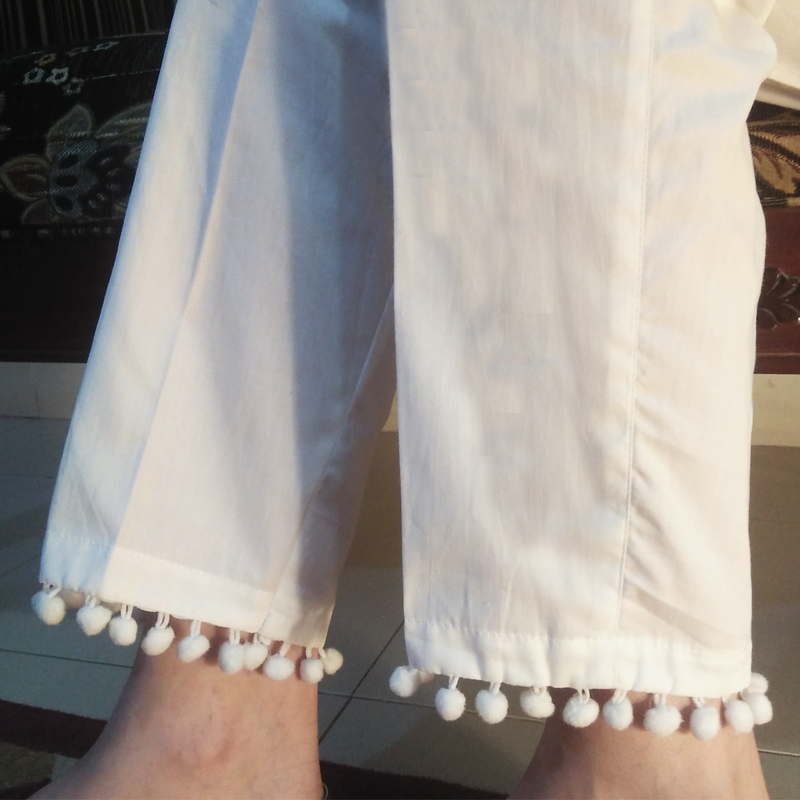 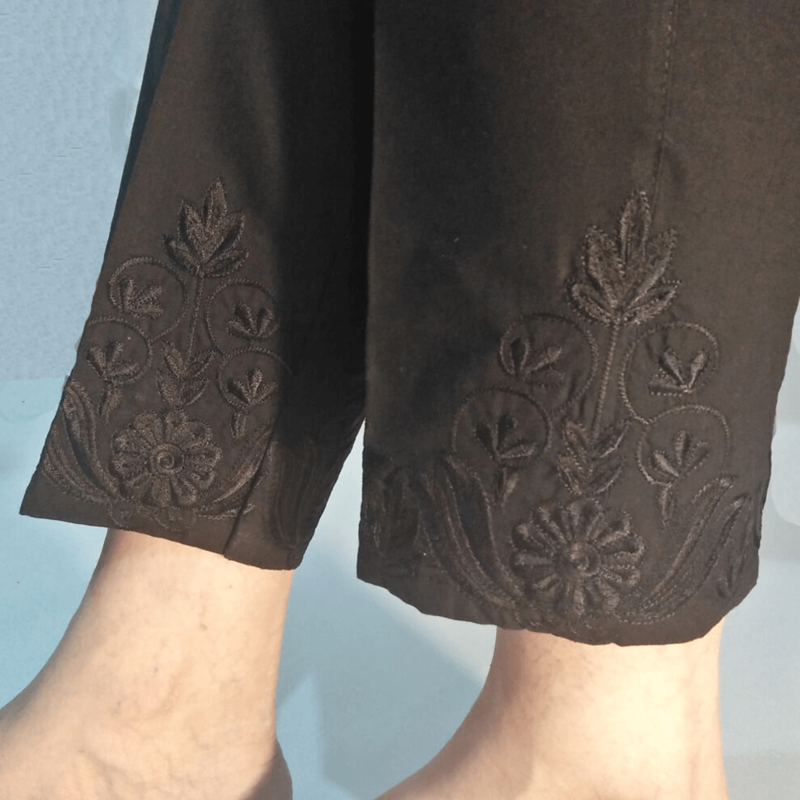 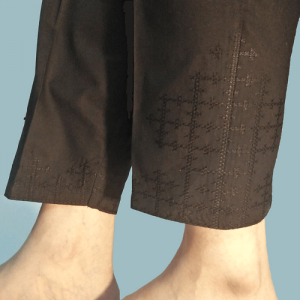 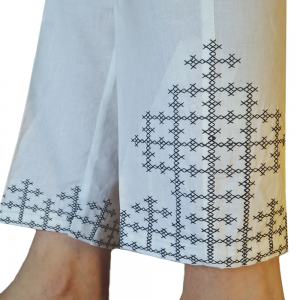 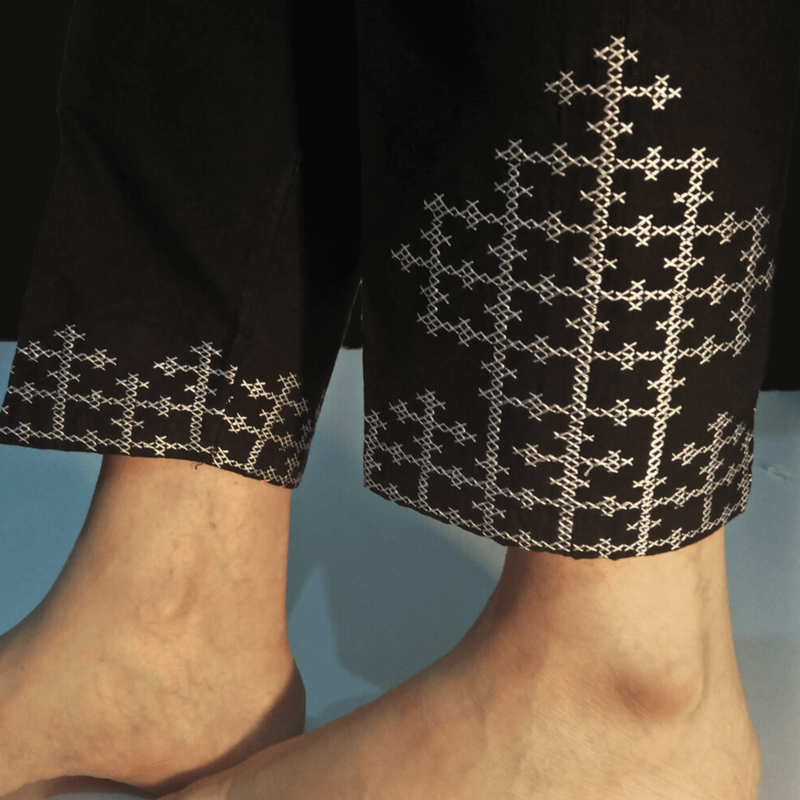 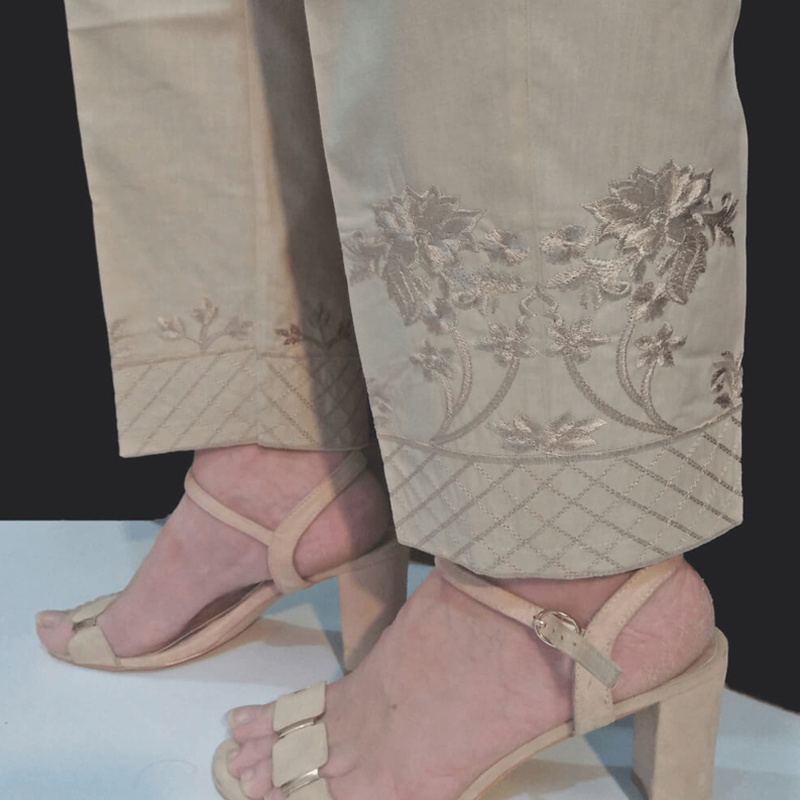 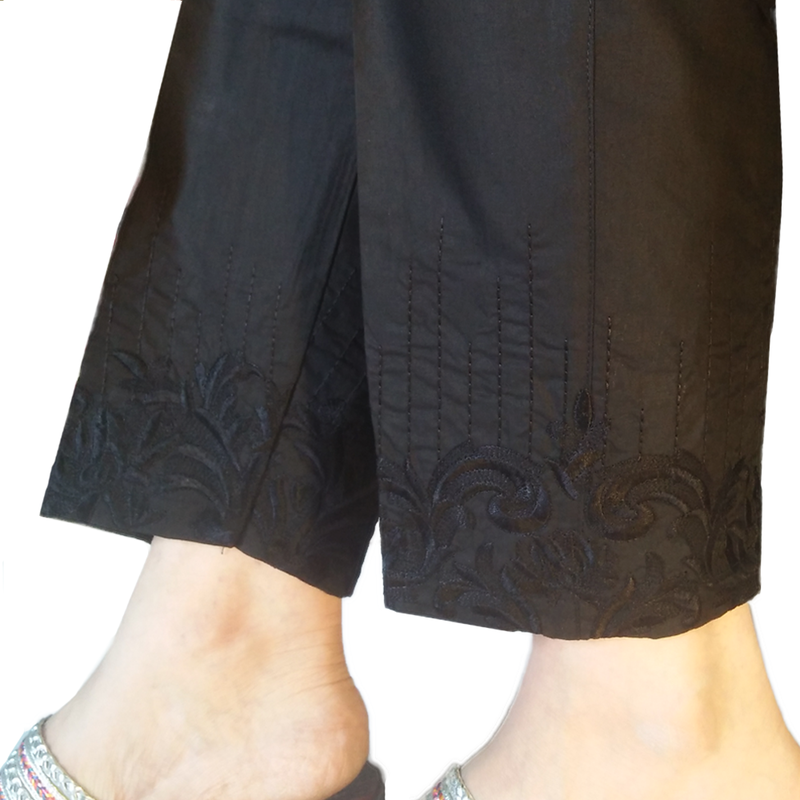 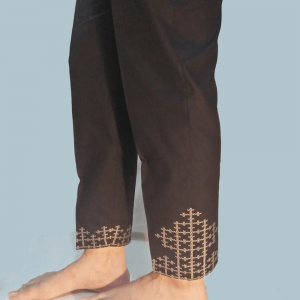 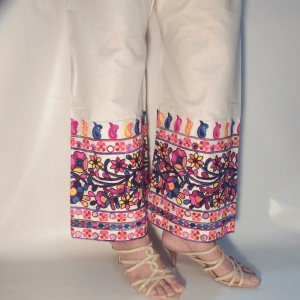 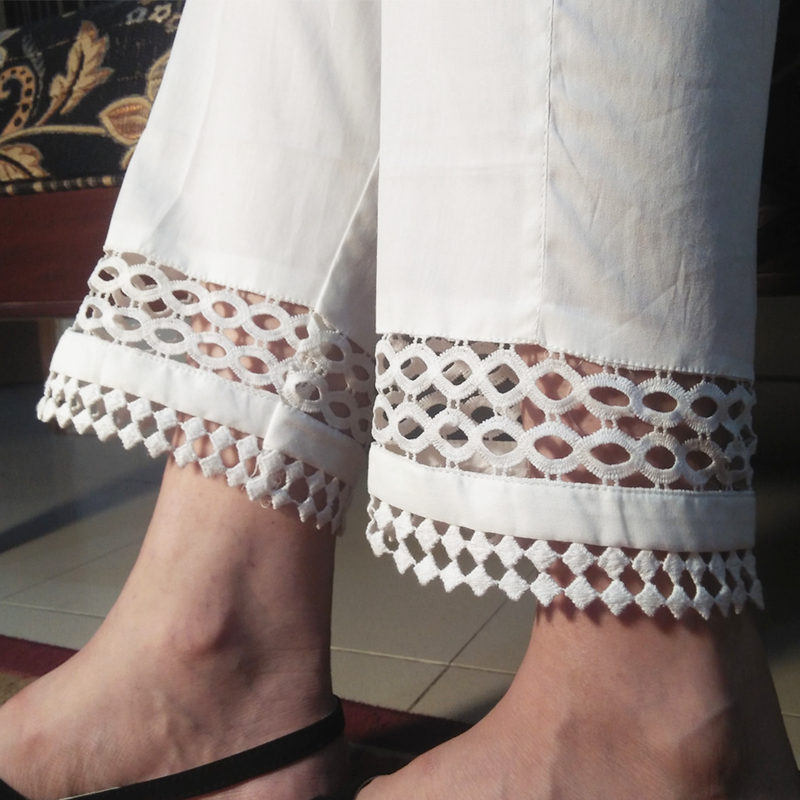 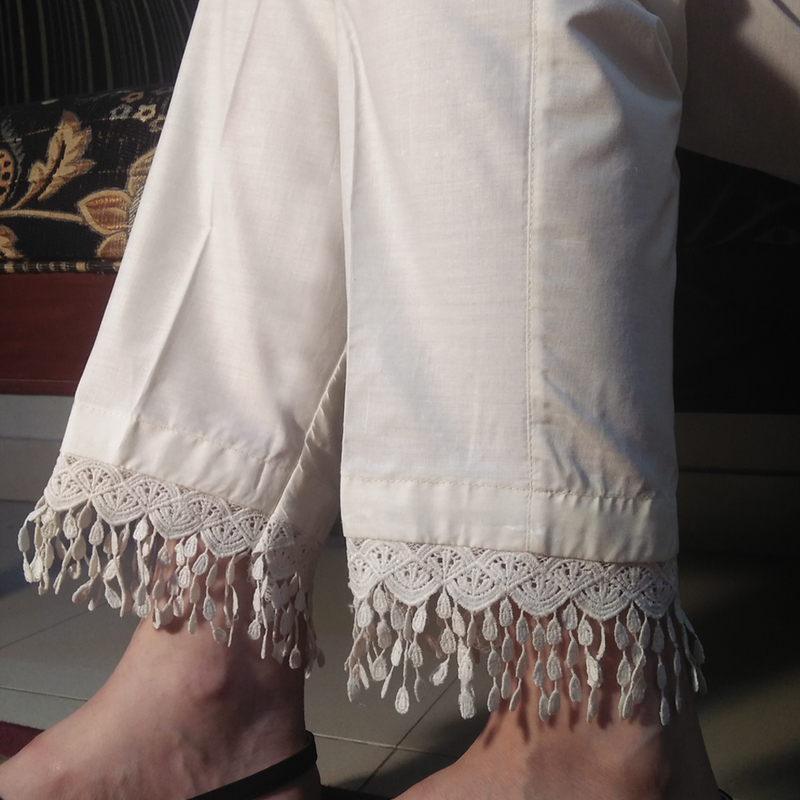 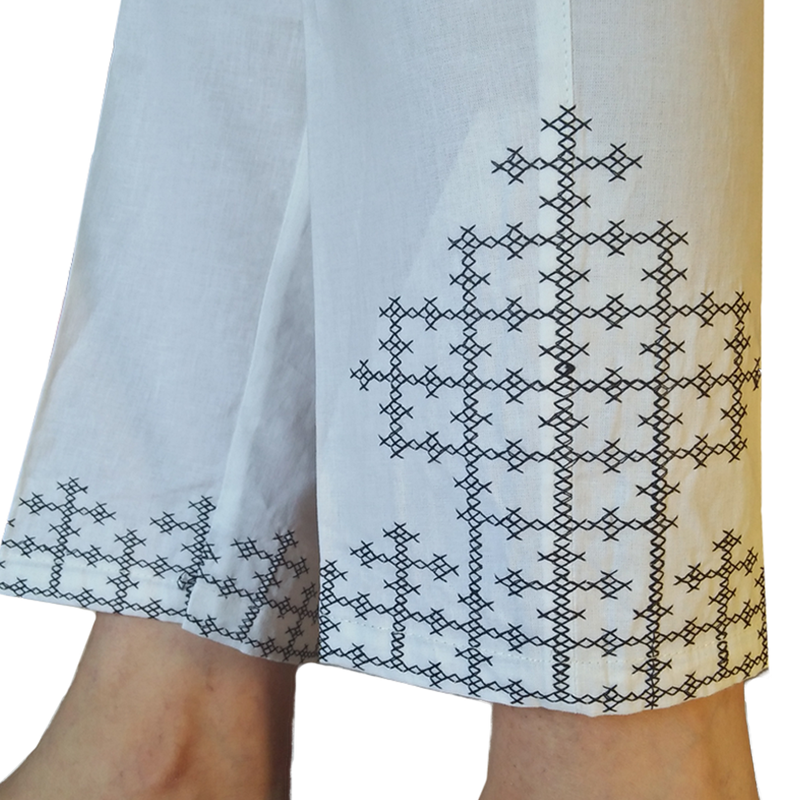 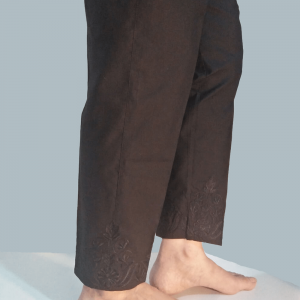 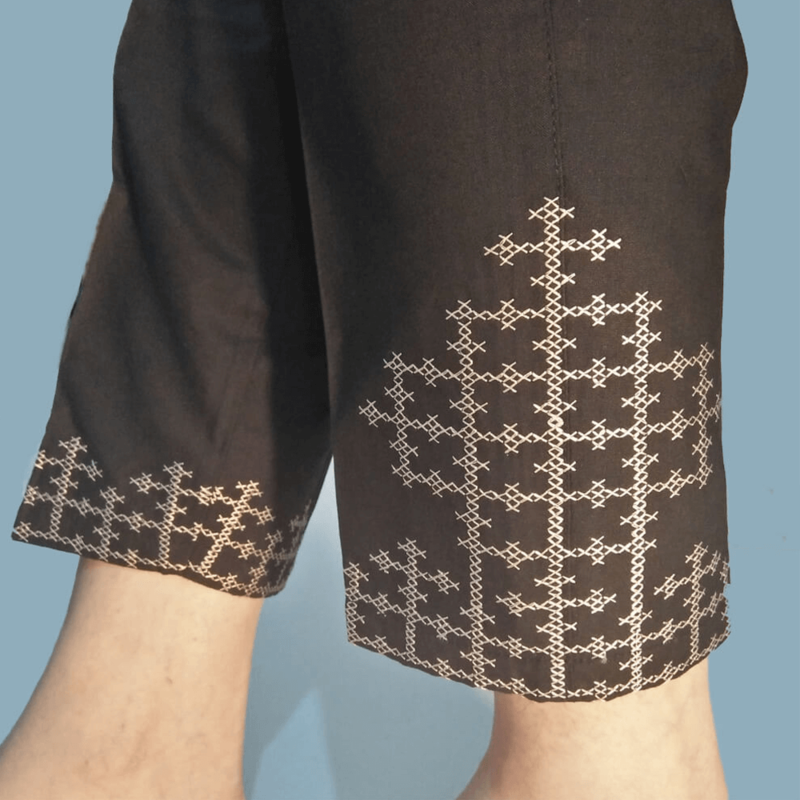 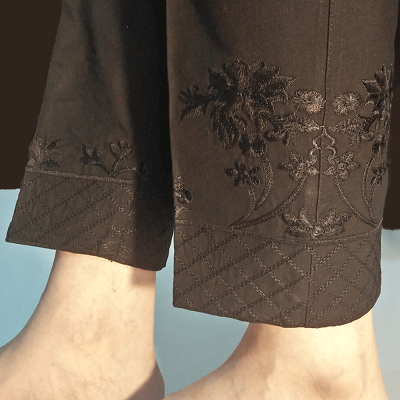 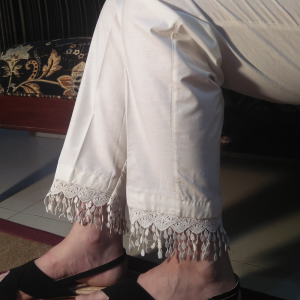 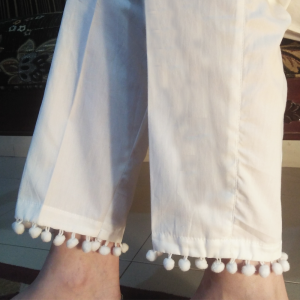 These latest trousers for ladies in pakistan are embellished with pearls, embroidery, sequin, and laces. Women of any age can wear these with her casual as well as embroidered shirt as pairing with these can give you a fabulous look. 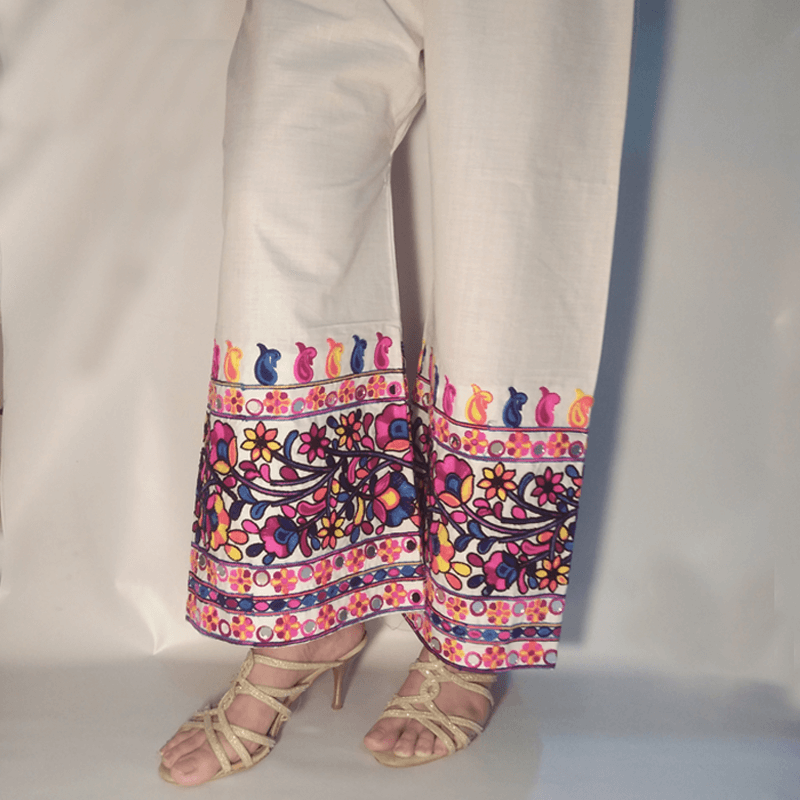 Latest dresses such as long shirts and kurtis with the bell bottom trousers trend is gaining popularity among young girls and women in Pakistan. 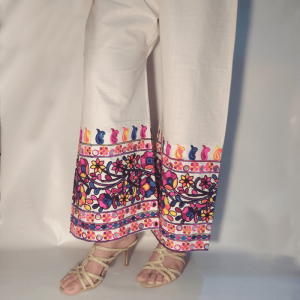 Most Pakistani designers and online clothing stores are launching their latest collection of embroidered and non embroidered dresses pairing matching trousers. 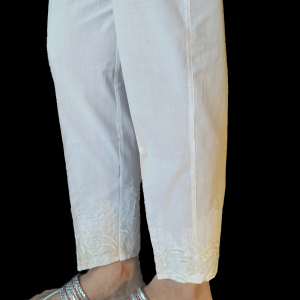 They will give you a quite new look. 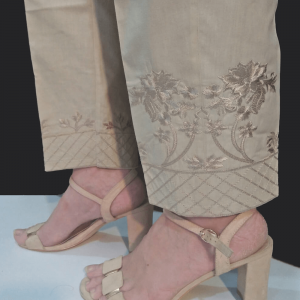 Matching shirt and high heels will give the extra confidence you need to stand out in the crowd. 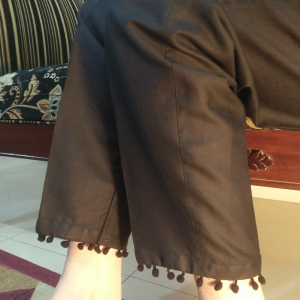 Nowadays, middle-aged women are also seen wearing modern latest trousers for ladies in pakistan to look smart and attractive. 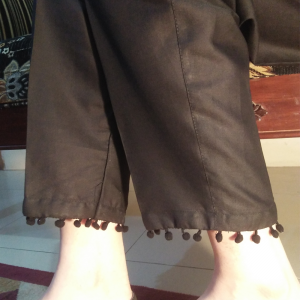 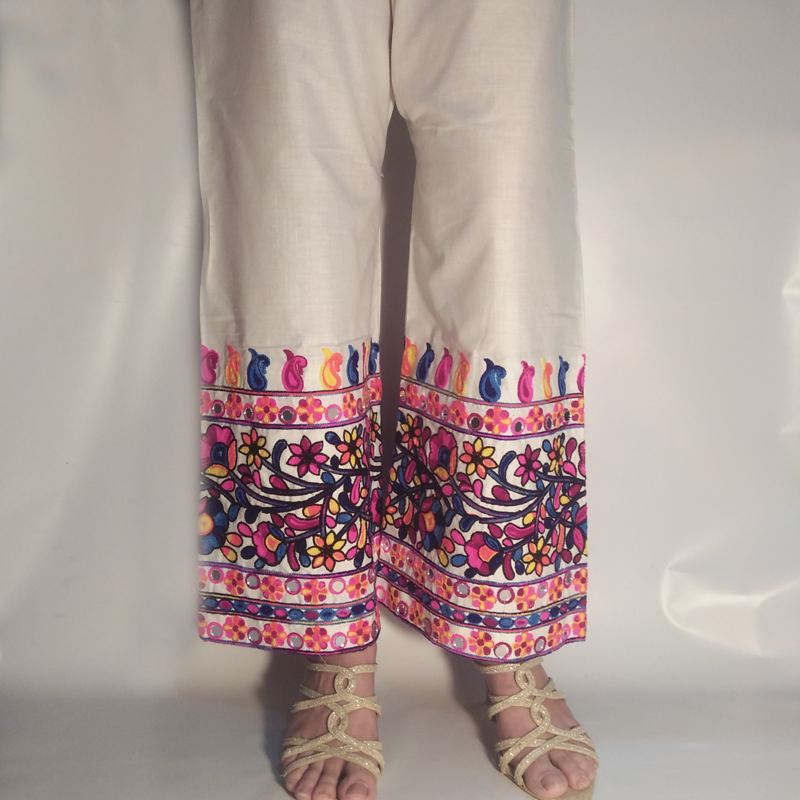 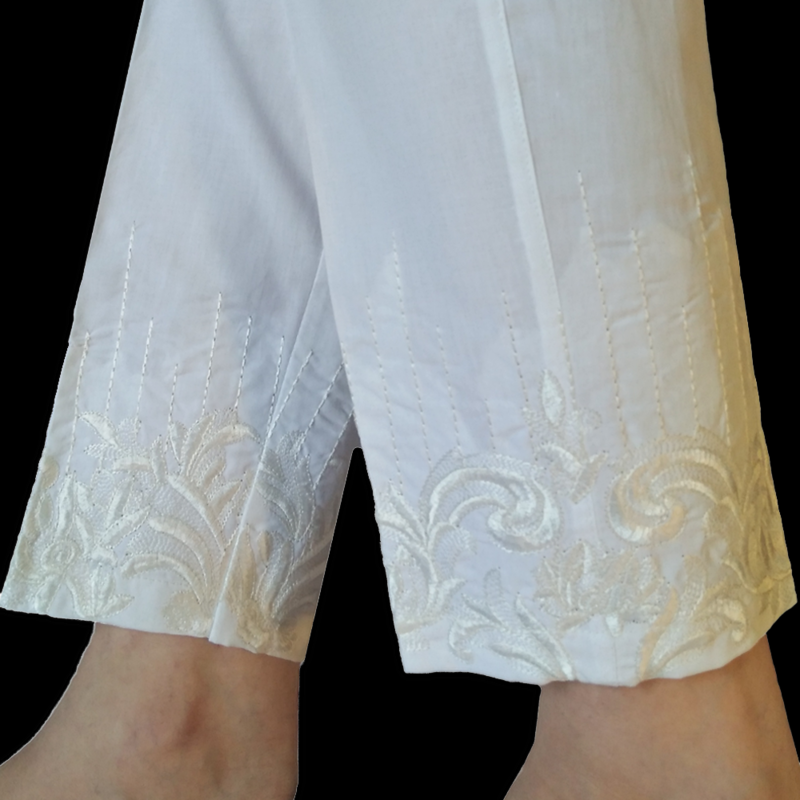 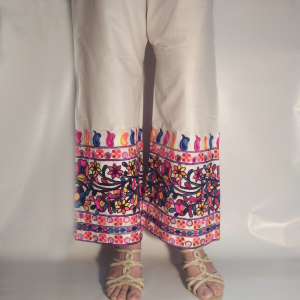 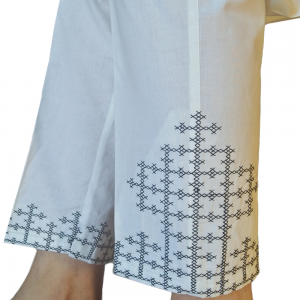 Whether you are looking for trousers with motif’s, pearls, zari, zardosi work on the lower side, then do not waste your precious time finding them in your local market Online Ladies Trousers Shopping In Pakistan. 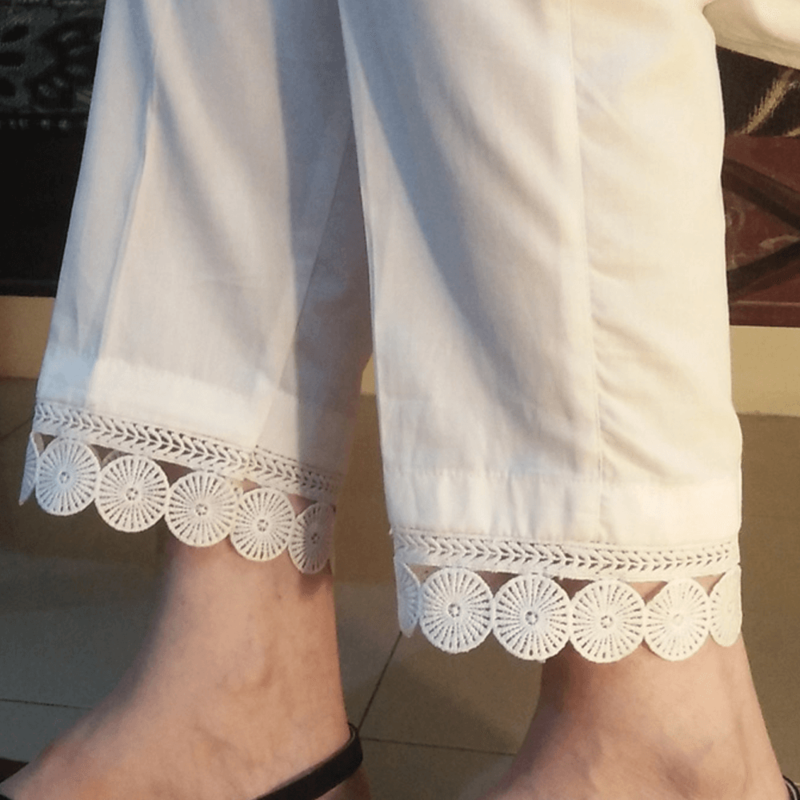 Online shopping websites and eCommerce platforms are the best, easiest and most economical way to find and buy your desired product right at your doorstep. There are several online shopping stores in Pakistan that are packed full of beautiful and attractive latest trousers for ladies in pakistan. 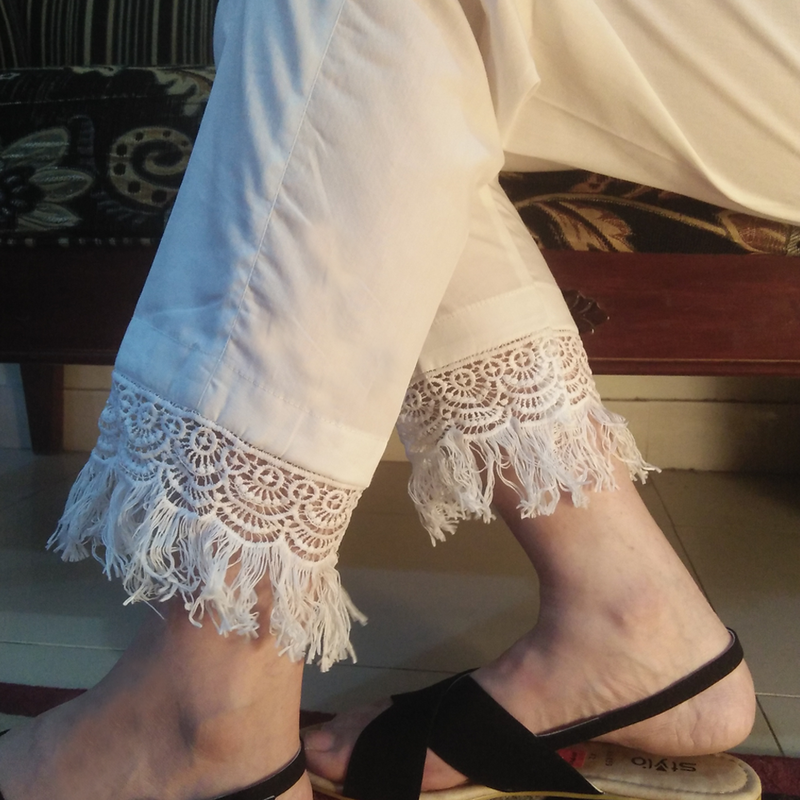 An added advantage is that you can easily find your favorite design that you might have seen some model is wearing in some fashion show. 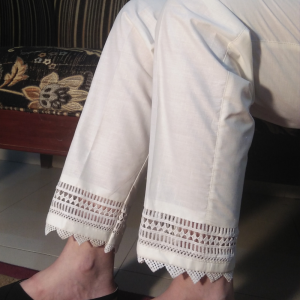 Due to higher competition, these are available at affordable rates, but you should never compromise on quality.